It’s no doubt that the medical cannabis business is exploding. According to the data collected by Health Canada under the Marijuana for Medical Purposes Regulations (MMPR), the amount of dried cannabis sold increased by a whopping 124% between 2016 to 2017. Data shows that even the number of medical cannabis patients has more than doubled from 24,000 to 53,000. The findings from this research can only suggest one thing—medical cannabis industry is going to grow. The challenge for produces would be how to keep up with the growing demand. Licensed producers of medical cannabis are trying to keep up with the dynamic, regulatory landscape and growing demand of medical cannabis by turning to specialized software companies to help them with operational efficiency, best practices, and guidance through the seed-to-sale process. These software solutions are adept at managing the entire seed-to-sale process, everything from the cloning stage all the way to packaged goods. But with an abundance of software solutions on the market, how do companies pick one that’s their worth every penny? Compliance: Compliance has been and continues to be a challenge in regulated industries. So, having a company-wide system for compliance is extremely crucial. For licensed producers who are new to the market, failure to comply is a huge risk for their company and especially for their investors. The Marijuana for Medical Purpose Regulations (MMPR) has requirements to adhere to and a reliable software system will be needed for these changes. 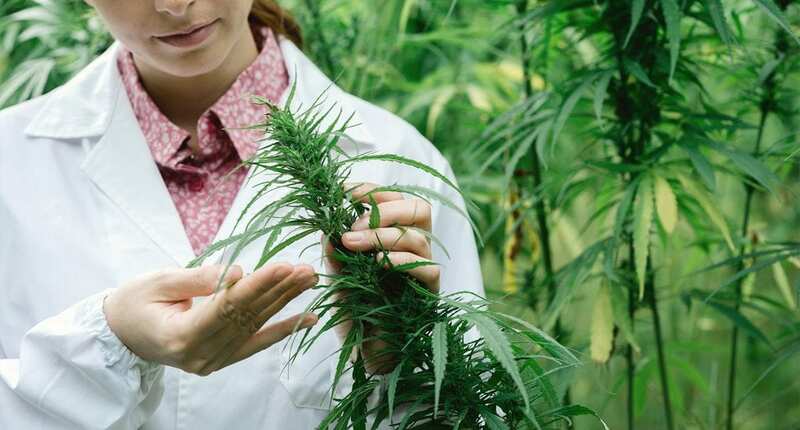 Medical Cannabis is a fast-growing market that’s attracting a lot of new entrants and investors are not looking to lose the capital they’ve put into building the company. Biological Asset Tracking and Cost Management: This is a top priority for licensed producers and proves to be one of the most complex areas to record when it comes to accounting. Asset tracking helps companies know the costs of their assets in order to have an accurate estimate of their costs of goods sold. Only software with a strong accounting and finance backbone can bring these pieces together. Financial Reporting Requirements: many licensed producers have the vision of going public or are in the midst of it today. Going public is a rigorous process that requires sufficient financial reporting from companies. A business system with strong financial reporting will give companies the reporting capability and is essential to cut accounting costs and boost efficiency. Scalability: For growing companies, scalability of their business system is important. Software implementation will take up to a couple of months and fast-growing companies such as cannabis licensed producers might outgrow their system by the time it is live. A fast-growing company requires a business solution that meets its growing requirements down the road. Microsoft has a large suite of business applications ranging from Microsoft Office and SharePoint to powerful ERP and CRM systems with IoT and Business Intelligence, Artificial Intelligence, complemented by industry solutions such Quality and Compliance offered by its partner network. Microsoft’s recent strategy is in Digital Transformation which empowers employees to better perform their jobs and drive efficiency for the company. AXSource is a Microsoft Partner that offers specialized Microsoft Business Solutions for Licenced Producers. The offering is more than a point solution or seed-to-sale. It encompasses the entire requirements for licensed producers from the start-up stages to when they go public. The solution covers seed-to-sale tracking with a strong financial backbone for biological asset tracking, GMP compliance, accounting and financial reporting. *As of August 24, 2016, the Access to Cannabis for Medical Purposes Regulations (ACMPR) replaced the Marihuana for Medical Purposes Regulations (MMPR).